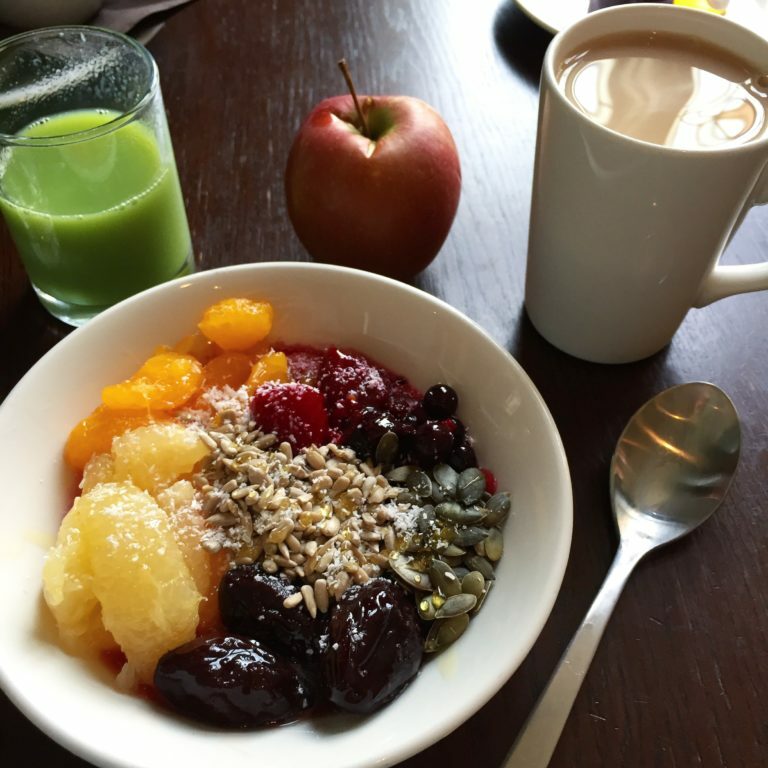 Today started with fruit and yogurt-based breakfast. Then a visit to Greenwich followed. We took a bus to Kilburn station, then took the Jubilee line to Canary Wharf. The station is pure steel, metal and Beton, but to be honest: I love it. 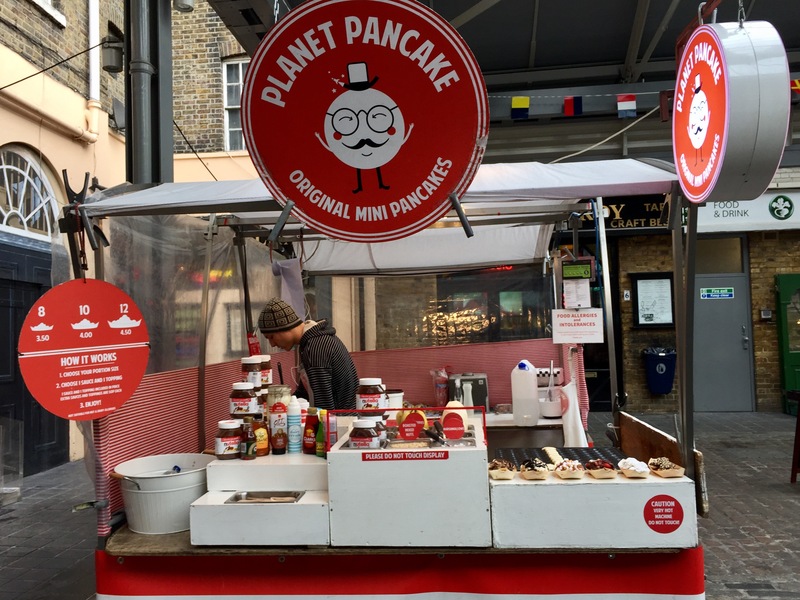 That we took the DLR to ‚Cutty Sark for Maritime Greenwich‘ and visited the Greenwich Market. Still pretty early so most booths were just setting up their stuff. 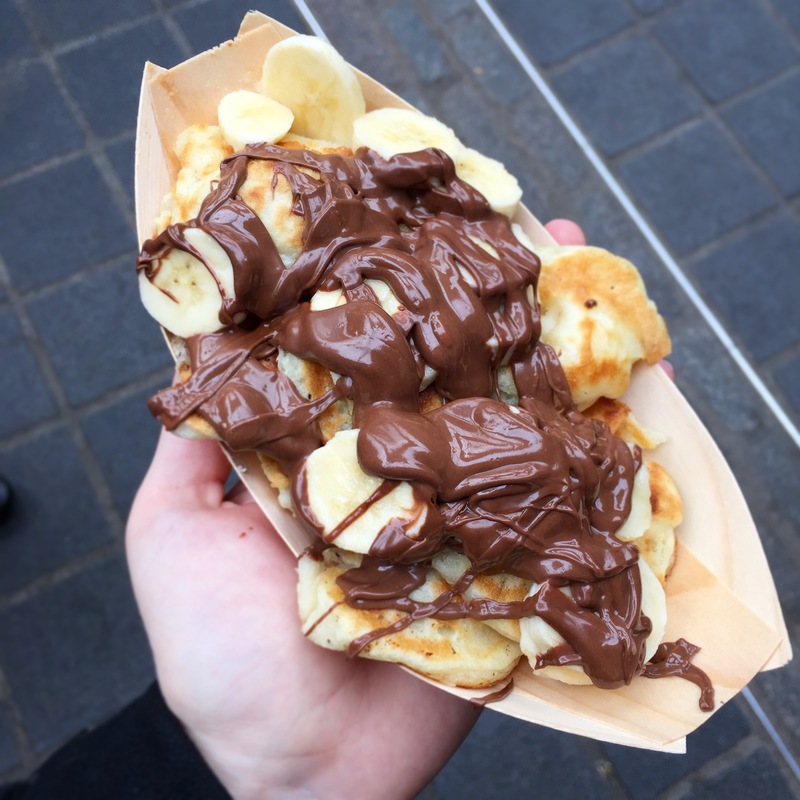 We got rice pancakes with nutella and slices of banana from Planet Pancake. 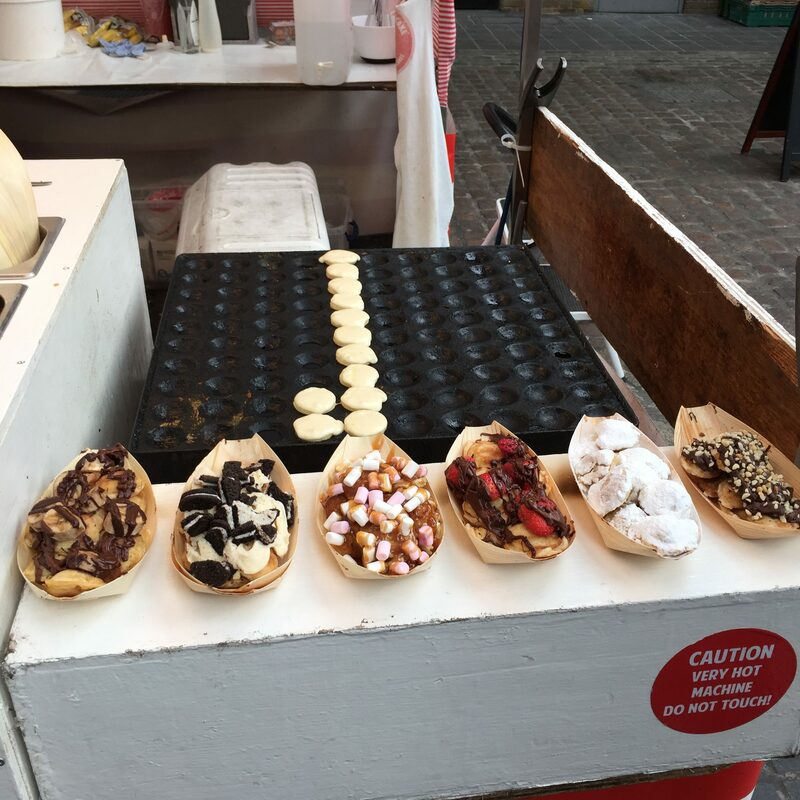 12 mini pancakes with two toppics of choice cost £4,50. After visiting the Royal Observatory and the Queen’s house we went back to the market my grandma had a pulled pork wrap (sadly not gluten-free) and I bought caramelized coconut chunks. Two of them (about 80g-100g each) for £5. 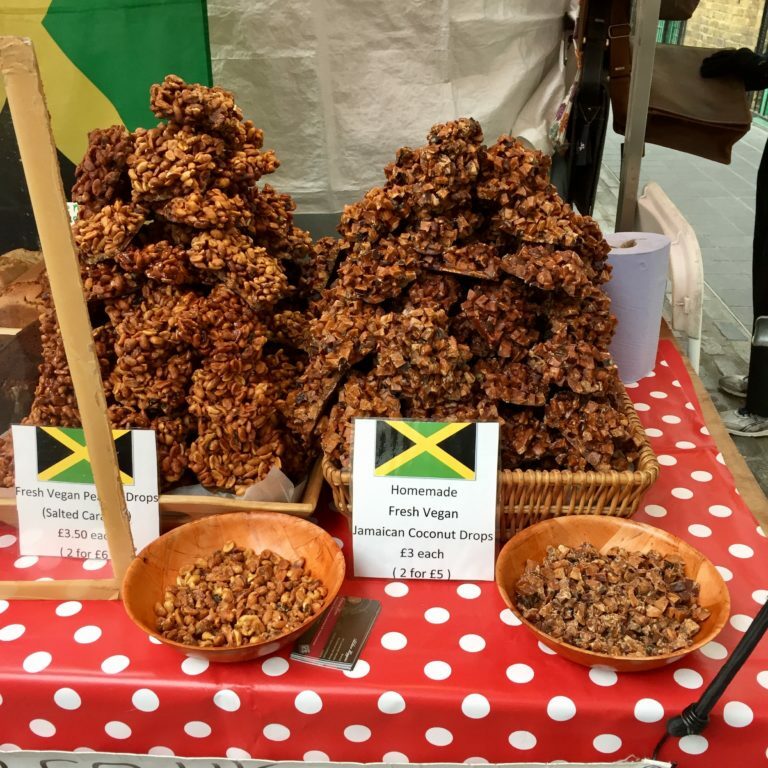 The Jamaican who sold them also had gluten-free lemon, Polenta and almond cake. Again, I am allergic to almonds, so I didn’t buy it, but a woman next to me who did buy it told me it was great. Still hungry I decided it was the best time to visit ‚Crêpes à la carte‚ since Kentish Town Station was on our way back to the hotel and I had communicated with them already via Instagram. There will be a post about them tomorrow but you can catch sneak peek here already. I had the ‚La Complète‘. 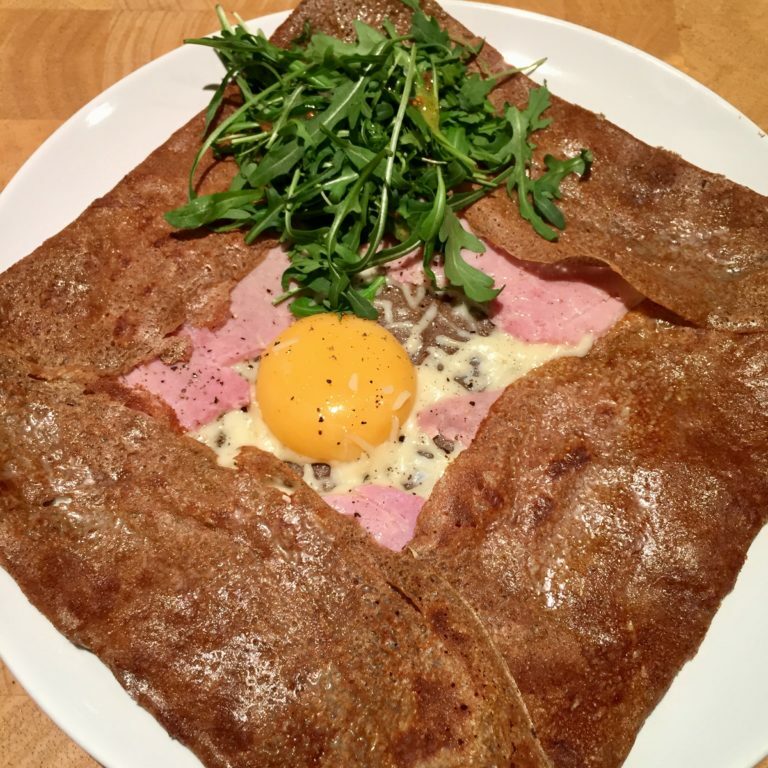 A buckwheat galette with ham, Emmentaler cheese and egg. £6.30. Since my grandma had already eaten she only had something to drink. The firefly peach and green tea juice. £2.90. After the first galette I was still hungry, so while talking to the lovely people there I ordered a galette with their homemade apple compote and cinnamon. £3.70.